Mr. Wonka: You STOLE fizzy lifting drinks! You bumped into the ceiling, which now has to be washed, and sterilized, so you get NOTHING! You lose! Good day, sir! Grandpa Joe: You’re a crook! You’re a cheat, and a swindler – that’s what you are! How could you do a thing like this? Build up a little boy’s hopes and then smash all his dreams to pieces?!! YOU’RE AN INHUMAN MONSTER! Mr. Wonka: I SAID GOOD DAY!! For whatever the reason this absolutely smashed Boo’s funny bone. He’d giggle and laugh and sometimes almost literally shriek with joy. More this he would ask, and I’d have to rewind back to the beginning of that scene and play it again, usually 10 or 15 times in a row. We watched it together so often that I began to dream of sterilized ceilings, inhuman monsters, and dreams smashed to pieces. 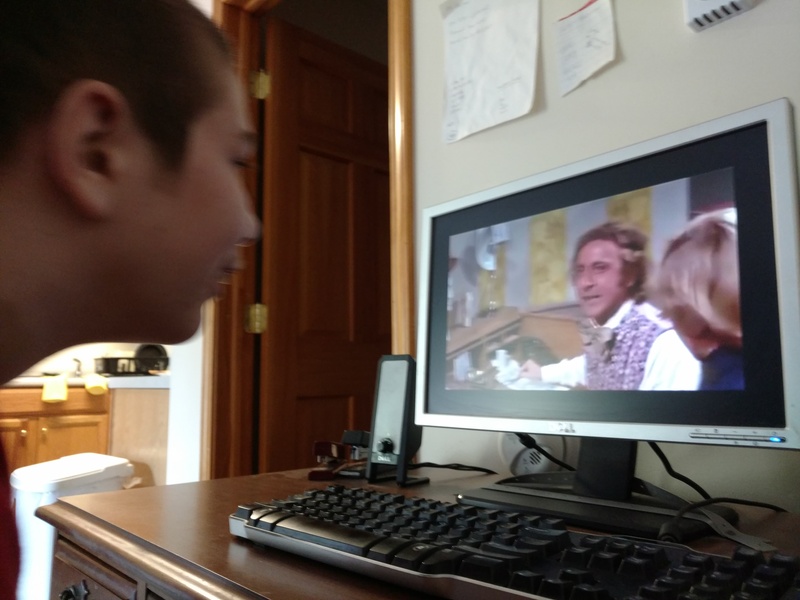 I’m not sure when it happened (because of this blog I could look back and pinpoint it), but for a long time now his little joys and interests, like the Willie Wonka scene, have waned and all but disappeared – replaced by a devotion to car ride alone: mama in the front. But two weeks ago when Andy and I drove to pick him up, he first (as always) greeted us with music on? and then, after just one car ride (an unvaried and specific loop), requested go back to ‘partment? Surprised but happy, we drove him to Andy’s place, where grandma was waiting with Jonah’s favorite foods. Once inside, he almost immediately attacked Andy, ripping yet another shirt and biting him on the wrist, drawing blood. Andy got him down on the floor and tried to keep him still, while I held Boo’s legs so he couldn’t back-kick Andy in the kidneys. We are strangely quiet during all of this, even Jonah. The only sounds are Jonah kicking and hitting us or the floor. We’re grown used to it, and we’ve come to believe that if we can just get one attack out of the way, Boo will be okay. Sometimes even really sweet and especially happy. Sure enough, Jonah calmed down and after that he was fine. Better than fine. Train on computer? he said. 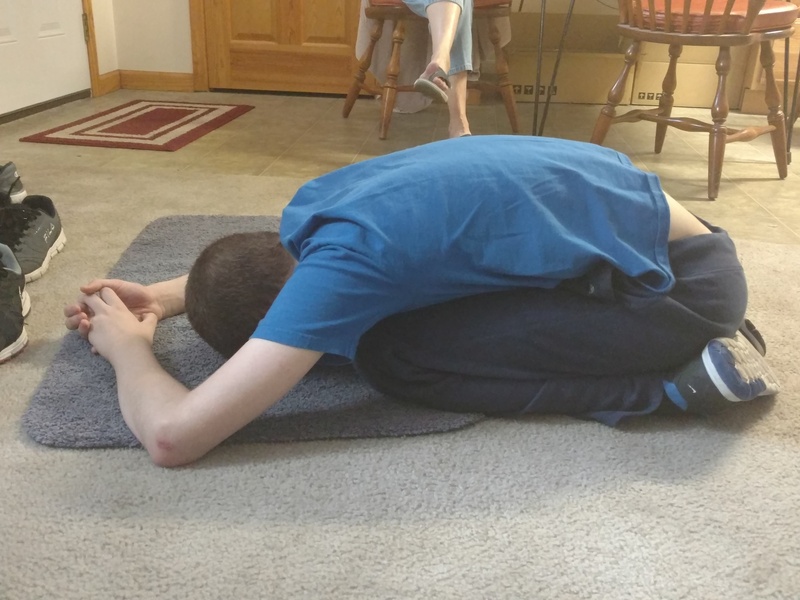 I was floored. He hasn’t asked to watch trains in what feels like years. So, as small a thing as it sounds, I was thrilled to see a spark of interest in something besides car ride. 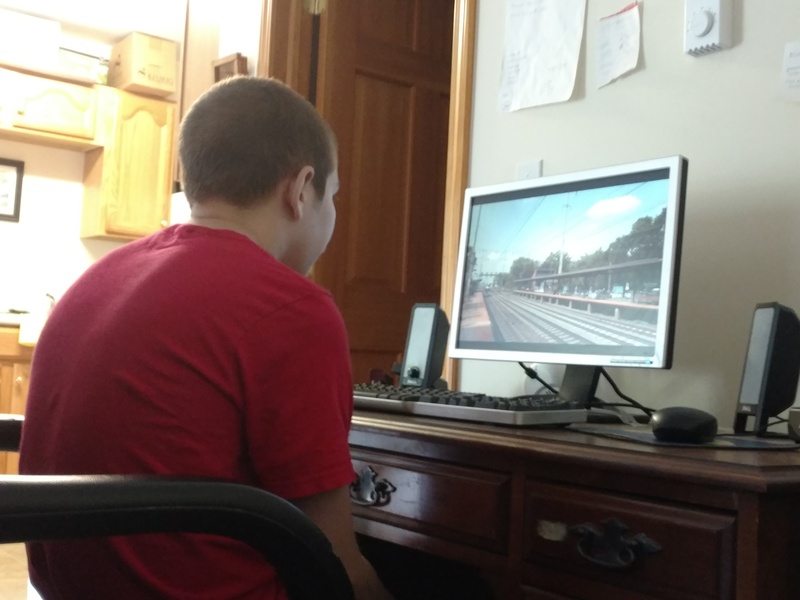 So I set him up on YouTube, typed in railfanner, and Presto Change-o, my train-loving Boo is back, staring with rapt interest at the coming and going of the endless speeding cars. And after a while, just as amazingly, he looked up at me and asked Oopma Oopma? – which is always how he requested the scene from Willie Wonka. And so once again I happily obliged, the scene eliciting the same smiles and giggles in which we all once rejoiced. The next day at school, Jonah went after a staff member in the residence who did his best to restrain him safely, but Boo ended up hitting his face on his dresser and being brought to the hospital, coming back with a few stitches in his lip and a swollen black eye. We are grateful to the caregivers who stayed with him, keeping him calm, safe, and occupied, until he could go back to his residence. 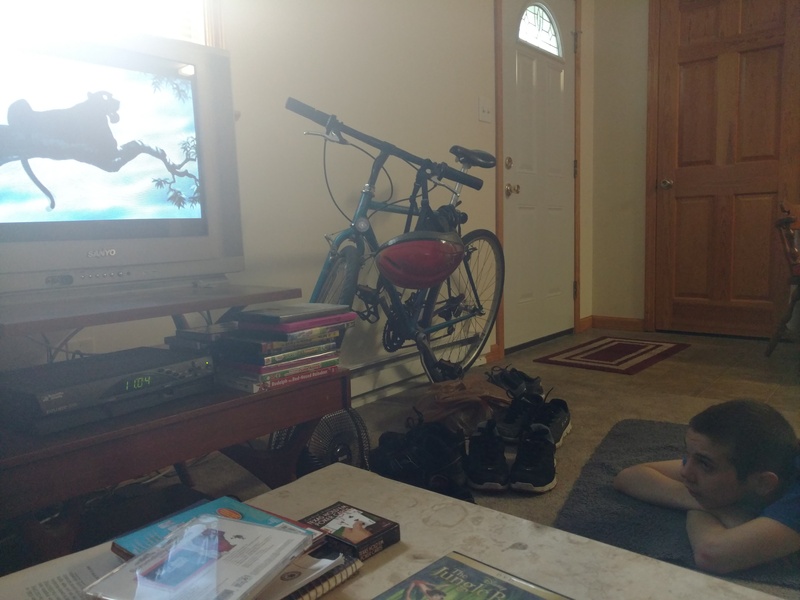 …and settled down to watch the movie – nearly 30 minutes of it! – before declaring all done Jungle Book. No aggressions that day. None. Not sure when the last time that’s happened, either. I type ad nauseam of hope, and despair, and the tiring, endless cycle of the two, but a constant thread through both is change, always change – and growth, and learning, and steps forward. There is. Thank God there is. Always there is something sweet to savor, and I am evergrateful.